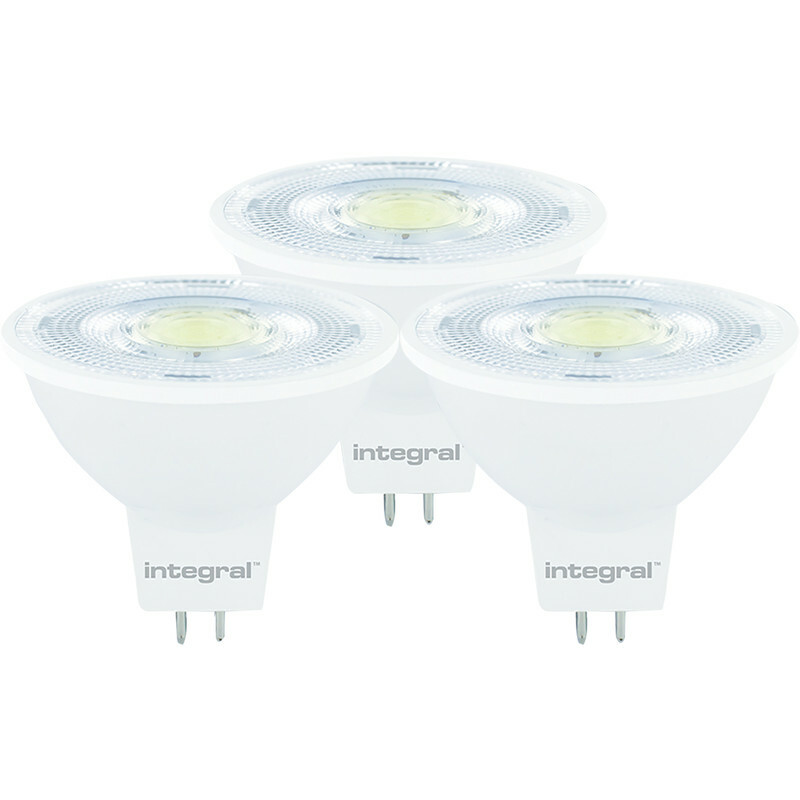 Integral LED 12V MR16 GU5.3 Lamp 8.3W Cool White 640lm (3 Pack) is rated 4.9 out of 5 by 10. Rated 5 out of 5 by ClinkatyClink from Reasonable Lamp at a Reasonable Price Reasonable lamp at a reasonable price, not much more to say. Cannot say much about reliability as it will only be know over time. Rated 4 out of 5 by Mark 99 from Very bright Bought half a dozen for my bathroom to replace existing halogens. They are easily as bright if a little more focused. Cool white is a little stark though. Really bright bathroom now. Rated 5 out of 5 by Rayjsj from very bright instant light not been very happy with low wattage eco lights, cf take too long to get to full power.These are instant full light, no compromise. Rated 5 out of 5 by Salv from Brightest LED bulbs I have bought Great price and great product. Will definitely buy again. Rated 5 out of 5 by Tonsy from Good Quality Lamps I bought these lights for my office as it has no windows and is quite dark. These cool white lamps are really bright and do the job perfectly. They have transformed my office completely.